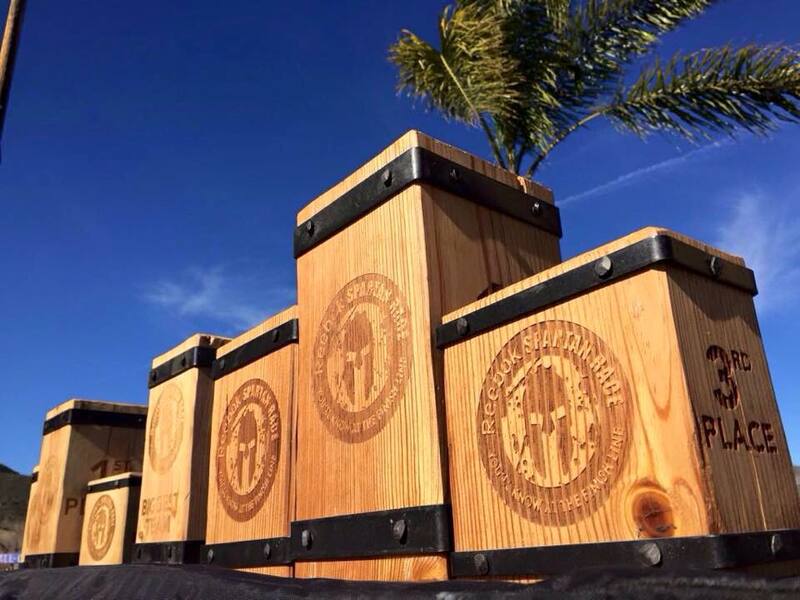 For 2015 (and largely unchanged in 2016) Spartan Race has updated it’s team perks – and it pays to be on the biggest team at each event. That would be team NE Spahtens for any New England event, we hope. However, like previous years, getting on the team, confirming you’re on the team and moving to the team can be a bit confusing and generates a lot of “what if …” questions, so here’s an updated FAQ to help. How do I join team NE Spahtens? During registration, when it asks for a team name, pick NE Spahtens. Why should I join team NE Spahtens? We get perks for being biggest team. The perks range from a rewards patch for all, to a free spectator pass for all, to VIP bag check – and community perks like shout outs from Spartan on social media and on race day, and our own wave. That, and every single member of NE Spahtens is good people, and you want to be with good people. But I have a small team I always run with! So, merge them into team NE Spahtens and get some shirts made. We welcome all smaller teams and individuals looking for a community like they’ve been around for ever. Come say hi – make the first move. I see a “New England Spahtens” team, should I join that? No. “NE Spahtens” is the team name we use at every event. If someone has created an alternative, they have screwed up and let us know. We’ll have Spartan HQ merge them. I don’t know if I joined the team, how do I check? Chronotrack is the new registration system. Login and look – you can see EVERYONE on your team. I’m not on the team, how do I move? Email Spartan Race Customer Service – you can’t do it post registration. When is the deadline to be on the team? 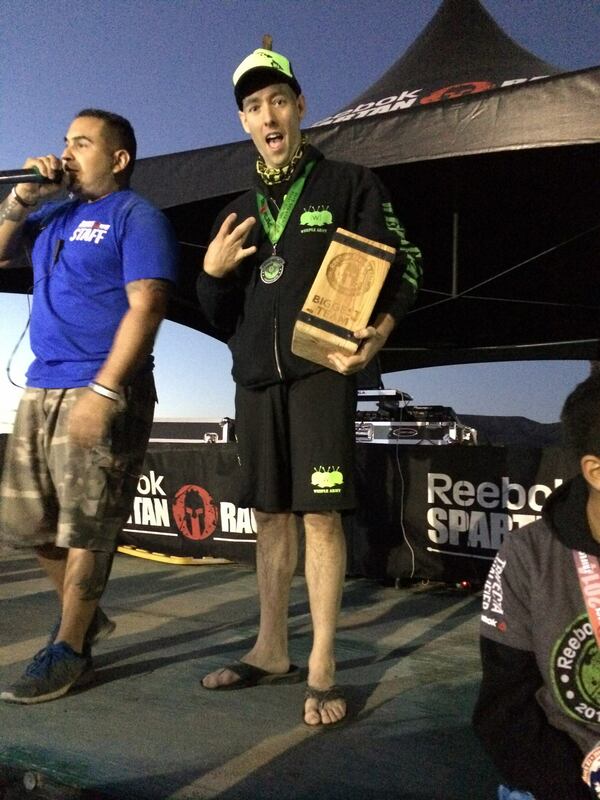 Sometime around fourteen days prior to each event, Spartan HQ will close and count team registrations. You will NOT count towards the team count or perks if you miss this deadline. I want to run elite, and be on the team, is that ok? Yes. Elites can join team NE Spahtens and will NOT be moved out of the elite wave. I want to run a specific wave time, and be on the team, is that ok? No. If you pick a specific wave time you CANNOT be on the team. All non-elite team members will be moved to the team wave. I volunteer, can I be on the team? If you register with credits from an earlier race, yes – pick NE Spahtens at registration. If you register on race day, you are out of luck. I have a season pass, can I be on the team? 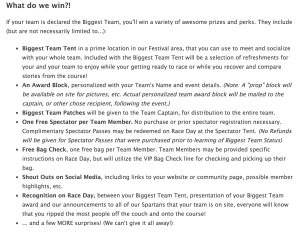 If you register before race day, yes. How do I get my perks? The spectator pass is available on race day only, not transferable and if you already purchased one, that is not refundable. One per person, simply head to the spectator registration tent with your spectator. VIP bag check has a list of everyone on the team, and a dedicated line. Patches are shipped out after the event to the team leaders, and we will distribute them to everyone who was on the team list. I didn’t make the deadline / join the team / registered on race day / need to run a specific wave / want the perks anyway – how do I make that happen? 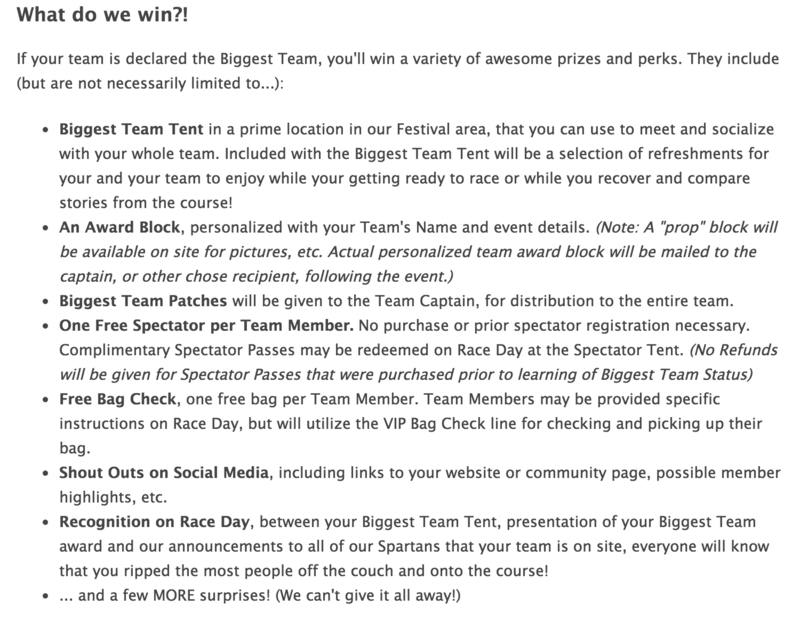 You are welcome to join your friends at the team tent – but you will not be on the VIP bag check list, free spectator pass list, or receive a patch. Spartan HQ will not have moved you to the team wave, and you won’t be able to wave jump. Sorry.